We also provide end-to-end production consulting to television productions filming in Australia, documentary productions filming in Australia, and film shoots. We can organise Australia television crews, specialist documentary crews, and the feature film crews to suit any budget and scale. We have filmed in every state and territory in Australia, filming in New South Wales, filming in Victoria, filming in Tasmania, filming in the ACT, filming in Brisbane, filming in South Australia, filming in the Northern Territory and filming in Western Australia. 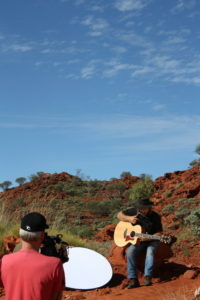 We have also filmed at Australia’s iconic locations, filming at the Sydney Harbour Bridge, filming at the Sydney Opera House, filming in the Australian outback, filming on the Great Barrier Reef, filming the Great Australian Bight, filming on Australian beaches, filming in Australia’s capital cities, and the list goes on. The Australian Television and Media Group also provides the full range of paperwork support needed when filming in Australia, including location filming permission to film in Australia, Australian tax incentives for international productions, Australian production incentives, and international co-production treaties with Australia.